‘Hey John’, I shouted to the first guy in the gondola line, on the last day of the year, at Canyons Ski Resort, ‘how many days did you ski this year’. ‘All of them’, he said. Now that is a ski bum. 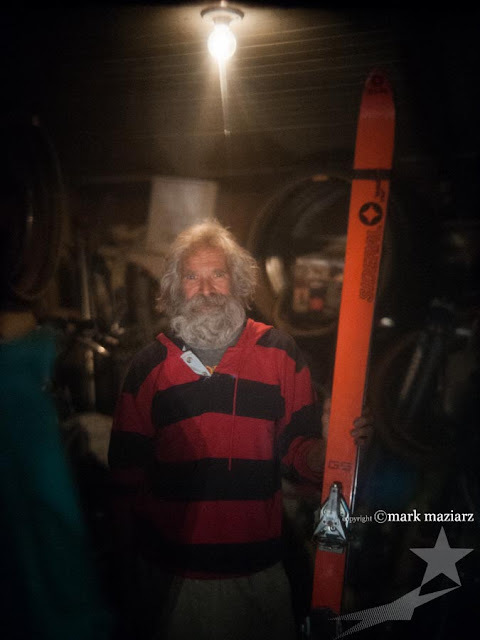 A skiing curmudgeon with squinty blue eyes, perma-tan and a wild haircut with a grey beard extending down to his chest, 68 year old John Haney is 155 pounds of pure modern mountain man. 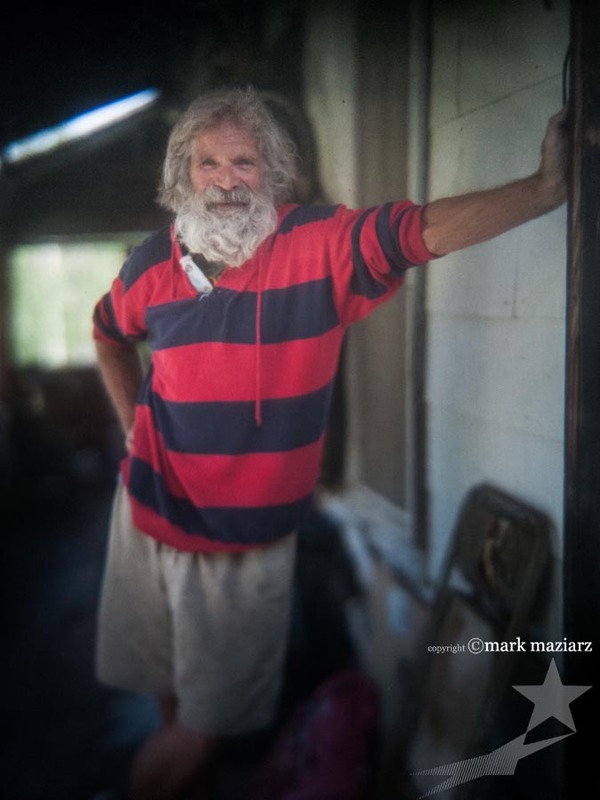 With almost 40 years of skiing on the Wasatch back, he is the definition of a local and the quintessential ski bum. Haney, as he is called by his friends, is the face of old Park City and someone we all came here to be. He has not been distracted by love, work or money. He has remained true to himself and to the focus of this town - recreation. 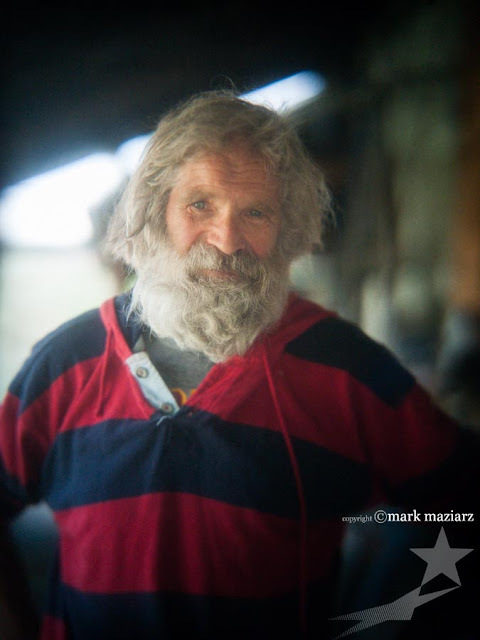 Skiing an average 140 days and riding his road bikes 225 days each year, he remains singularly fixated on the basics of mountain life and to this town. Born in Nebraska in 1945, John served in the Army and moved west after college in the early 70s. He lived in the classic early Park City institutions like the Palace Flophouse, Last Resort and Alpine Prospector and started work at Mileti’s restaurant as a dishwasher. There were stints as a surveyor at Jack Johnsons and Alliance Engineering and part time work at the Racket Club but he never let the job get in the way of his passion. He kept his recreational priorities, never missing a powder day, a sunny day, a cloudy day or even a rainy day. Operating out of his small house in Swede alley, insulated with bike parts and old skis, John has perfected his trade. Up before dawn and on the first bus out of old town, he arrives at Canyons sometimes an hour before the lifts start. Although he does ski PCMR and Deer Valley and the Cottonwoods occasionally, Canyons is his home. Dressed in an old Deer Valley ski coat and pants, allegedly waterproofed with bacon grease, he positions himself at the front of the Gondola line. Every day. Thrifting and dumpster diving for his clothes, bikes, skis and equipment John lives a simple minimalist lifestyle. He once told me he lives on 300 dollars a month and I believe it. His house on Poison Creek is paid off and I imagine there is a mattress full of 100 dollar bills in his back bedroom. Sometimes accommodating a roommate, he eschews the company of the fairer gender saying simply, ‘women cost money’ although he has softened recently saying he would ‘have any woman in Park City, if any would have him’. John has also learned to enjoy the some of the other finer things in life. Coming late to an Alliance Christmas party we found him alone at the head of the table of the Seafood Buffet with a pile of shrimp the size of the great pyramids and a big smile on his face. When, later that night, he was told that, ‘it takes money to make money’ John shot back ‘and it takes money to lose money’. Maybe. Haney proudly eats raw sweet potatoes on the chair lift for lunch, because ‘they are gouging us lately on the price of carrots’. When I asked for a sample bite one day he told me, with a mischievous grin, to ‘get my own’. Frugal but generous, he once lent a needy neighbor boy a hand-built aluminum Trek road bike with Campagnola components for a fun ride across Iowa. While the local bike shops were asking 500 – 1000 dollars for the monthly rental, John asked for only 25 dollars and a tee shirt. John rides his bike everywhere; for economy, efficiency, exercise and for the sheer fun of it. Legend has it that he rode his bike down to Salt Lake one day, completed the Snowbird Hill Climb race in less than an hour, and hitched a ride home. He routinely participates and wins the World Senior Games – Bike Stage Races and Track Events in Cedar City. Several years ago, when he turned 60, he entered the National Road Bike Championship race being held in Deer Valley. He won his age group easily lapping many riders in the field. He rode a mountain bike and a snowboard once or twice but likes to stick to what he knows best, the soft and the smooth. Haney occasionally wages his personal crusade against rampaging snowboarders, unleashed dogs on Main Street and Slurry Seal road repairs, all of which have sent him flying at one time or another. Otherwise he is OK with the ‘inevitable’ changes he has seen in Park City but laments the traffic and the ‘eventual grid lock from Old Town to the freeway’. He thinks the free bus system is the best thing about modern Park City as well as the library and the new hospital at Quinn’s junction. He recently had his hip replaced and knee rebuilt by an old ski bum’s best friend, Medicare. He wonders if the eventual ‘Aspenization’ of Park City will leave us with a touristy ghost town of rich people, Olympians and servants. In spite of everything, he plans on staying in Park City in perpetuity. ‘Where else would I go’, he wonders. Sometimes community leaders do not sit on city councils or in the corner office. As a quite Park City icon, John Haney is an example of the bygone days when skiers would just move here to wash dishes and load chair lifts, all for the privilege of living and playing in our sleepy little town. He serves as a constant reminder to some of us of why we came here, who we tried to be and what makes this town great. Simple, focused, honest and happy.